Perfect Picture Book Friday: Kindergarten Rocks! Tomorrow is Will Write for Cookies featuring…KATIE DAVIS! I know you will want to stop by on Saturday to hear what she has to say. 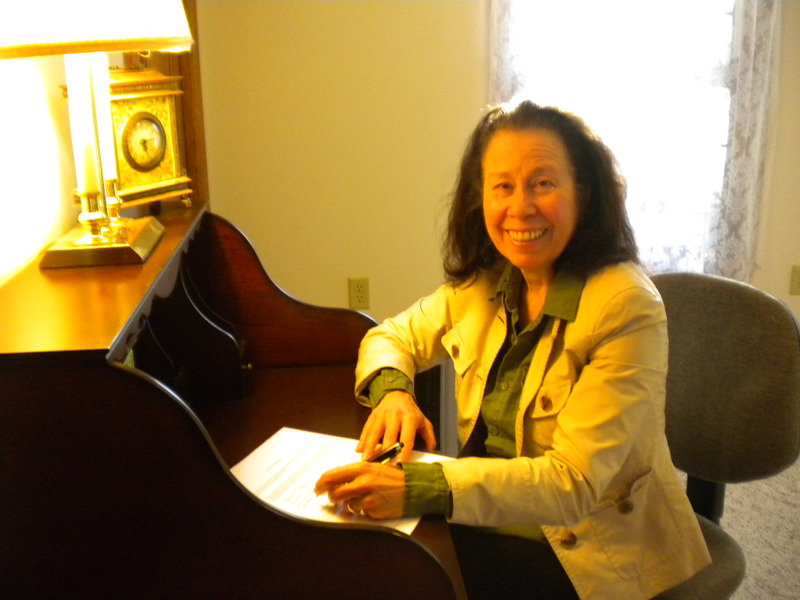 And I just signed with the incredible Essie White and Storm Literary Agency!!!! As you can imagine, I’ve been happy dancing since before the ink dried on the contract. But I did take a bit of time out to post my Perfect Picture Book Friday – and it just happens to be a picture book by tomorrow’s guest author/illustrator, Katie Davis. Oh my goodness…there can never be enough books for kindergarteners experiencing anxiety about the first day of school. And this is one of the best! The illustrations are simple, bold, and marry perfectly with the text. Great book to read before school starts…or whenever a kiddo is anxious about starting something new. The school year is underway. Has your child adjusted well to the new environment? Does he or she talk about friends at school? The experts say that building friendships early on in a child’s life has far-reaching positive effects on relationship-building in the future. Why not try to set up some play-dates so your child can interact with friends outside of school also. Kids bring home lots of papers from school…completed ditto sheets, drawings, projects. Do you have a special place to display your child’s painting and other art work? Do you have an area where he or she can keep treasured projects like that Popsicle stick turkey or the tissue paper pumpkin? Why not get an inexpensive bulletin board for displaying the work? And grab a cardboard or plastic magazine file at the store for ditto sheets and completed projects. A clear gallon zip lock bag hung from a hook can keep important forms or informational sheets out of the way but within reach. Knowing where something is at a moment’s notice will definitely eliminate some of the morning stress. And have a glorious weekend! 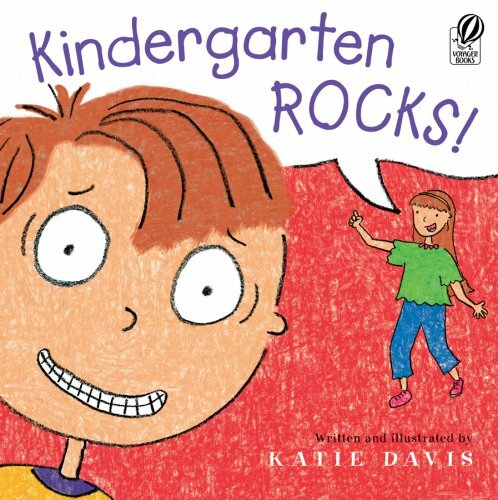 This entry was posted in Perfect Picture Book Friday, Picture Book Review and tagged 1st day of school, Katie Davis, Kindergarten Rocks!, School anxiety by viviankirkfield. Bookmark the permalink. I didn’t know about this book! Sounds funny and perfect for nervous kindergartners. And congratulations again on your new agent, Vivian! I’m so excited to see some of your wonderful stories in print in the near future. My daughter is in first grade now but still LOVES kindergarten books. She’ll like this one for sure! Congrats! and yeah, always room for one more Kindergarten (or going to school) book. Although, giving myself time to just riff on the title before reading your review, I was thinking along more sedimentary lines…. Lovely book choice and Katie is always amazing. Congrats again dear Vivian on your agent snag. Whohoo! Congratulations on signing with an agent! We should read this book again. Kindergarten is in progress… Congrats again on your signing with Essie White. I look forward to many more happy, news posts. Thank you, dear Stacy…you know that your steady support and encouragement and excellent critique help kept mm on the right track. 😉 It’s a really cute book…hats off to Katie! I love this book, Vivian! What a fabulous and funny transference of fear and nervousness. 😀 Thanks for sharing this review with us! Congratulations on your new contract! And this book looks fantastic! Thanks for sharing this at Booknificent Thursday!